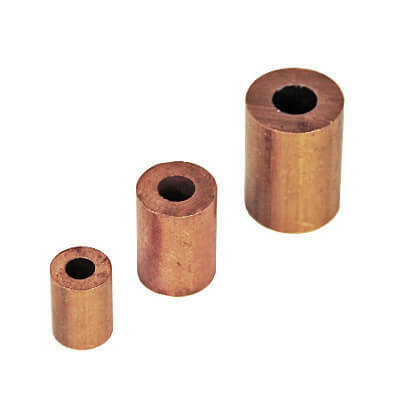 Round copper ferrules for forming end stops or stoppers on stainless steel and galvanised wire rope. The size of the end stop you choose relates to the wire diameter. So, If using 4mm wire rope, please choose a 4mm end stop. Copper ferrule end stop intended for use with stainless steel wire rope to avoid galvanic corrosion. Also known as wire rope sleeves and cable crimps. Sizing is like for like. E.g. 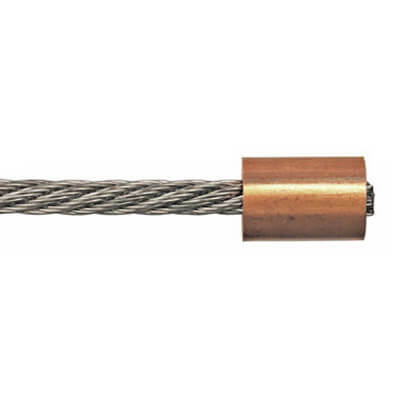 Choose a 4mm Copper Ferrule to suit 4mm wire rope. 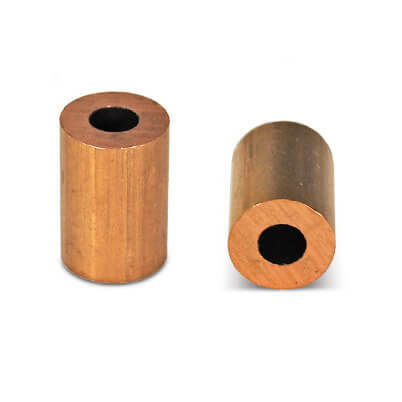 Copper end stops available to fit 1.5mm, 2mm, 3mm, 4mm, 5mm, 6mm and 8mm wire rope. Such a pleasure to deal with this supplier and supplied quality items.